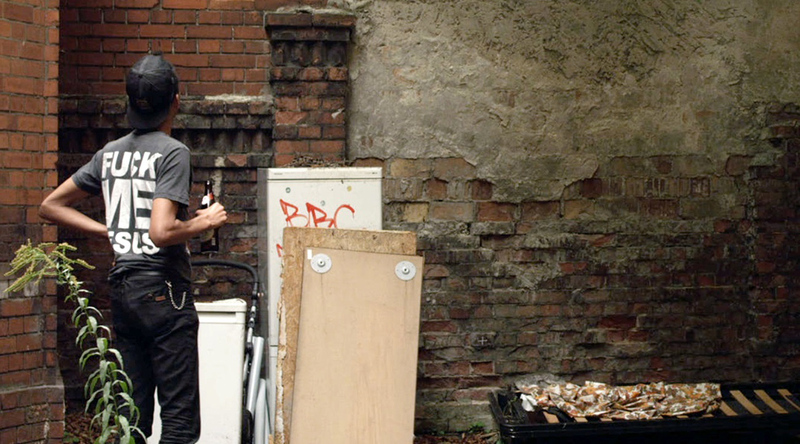 ‘What does it mean to inhabit a space?’, asks filmmaker and resident Matthias Lintner, that space being a housing estate almost untouched by time. Built during the German Empire, the ‘Kleine Bremer Höhe’ has served as a refuge to artists, punks and the elderly. To the occasional visitor, the quiet courtyard with its lindens is an enchanted garden tucked away off Berlin’s busy Torstrasse. Lintner’s answer lies in affectionate portraits of his neighbors as he watches and listens to those who have built a world of their own, and refuse to focus on the outside world. Ideas on vacantness and void appear as a subversive act against the utopia of the well-ordered spaces and echo the thoughts of writer Georges Perec, whose quotes add an essay-like layer.